When will be The Class Next Door next episode air date? Is The Class Next Door renewed or cancelled? Where to countdown The Class Next Door air dates? Is The Class Next Door worth watching? Primary school education has changed dramatically in recent years and in The Class Next Door, parents experience what it's like for their 11 year old kids as they go back to school.For one half term a class of parents will study the same curriculum as their children, who will be in the classroom next door. They will have the same regime, don the school's uniform, sit cross legged in assembly and do PE and recorder lessons as well as face the same discipline if they misbehave.With greater pressure on primary school children to perform in SATs, the new education reforms and the rise of grammar school culture, there has never been more of a need for us to find out exactly what is expected of our children, and what sort of pressures they are under today. The Class Next Door next episode air date provides TVMaze for you.  EpisoDate.com is your TV show guide to Countdown The Class Next Door Episode Air Dates and to stay in touch with The Class Next Door next episode Air Date and your others favorite TV Shows. Add the shows you like to a "Watchlist" and let the site take it from there.